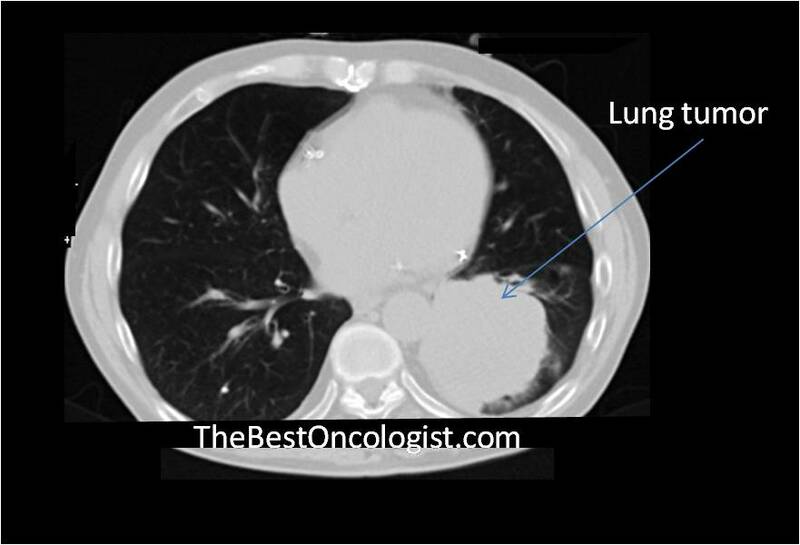 How Lung Cancer is Diagnosed? 1. Careful history taking from the patient by an experienced physician: the main presenting symptoms include cough, dyspnea (difficulty breathing), weakness, weight loss, hemoptysis (coughing up blood), chest pain and hoarseness (due to involvement of specific nerves adjacent to the tumor). 2. Careful physical examination should be performed. Findings on examination may include cachexia (severe body weight loss), pallor (anemia), tachypnea (increased breath rate), hoarseness, enlarged lymph nodes, wheezes (due to bronchial obstruction), pneumonia (due to airways obstruction), and clubbing of fingers. On auscultation wheezes, or decreased breath sounds (due to pleural effusion) may be noted. 3. Laboratory tests may reveal anemia of malignant disease; leukocyte count can be normal or elevated (especially if pneumonia is also detected); hyponatremia (low blood sodium level) is not uncommon, and is mainly due to inappropriate secretion of anti diuretic hormone (ADH) by tumor cells; hypercalcemia (elevated blood calcium level); elevated LDH levels. 4. Radiological evaluation should include initially chest x-ray and computerized tomography (CT) of the chest. 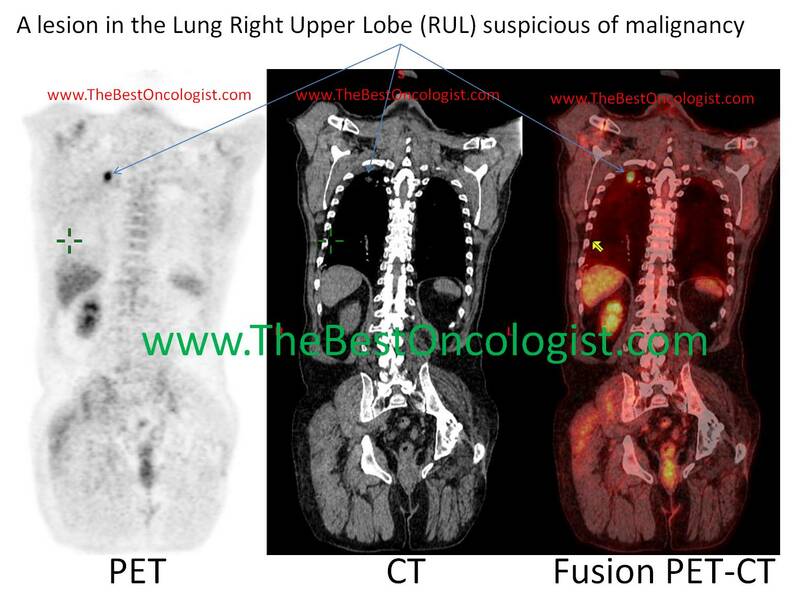 PET-FDG scan, and fusion of PET-CT scans, can be helpful in detecting metastatic disease. A. Sputum cytology: the sputum is examined under microscope for the presence of malignant cells. B. Bronchoscopy: in this method direct inspection of the bronchial tree is performed, and biopsy is taken directly from the tumor. Alternatively, the bronchi are washed with saline, which is recollected and tested for malignant cells (cytology). C. Fine needle aspiration (FNA): the lesion is approached via a fine needle under the guidance of a radiological facility (ultrasound or CT). The aspirated material is tested for malignancy under microscope. D. Open biopsy: this is performed in operation setting. 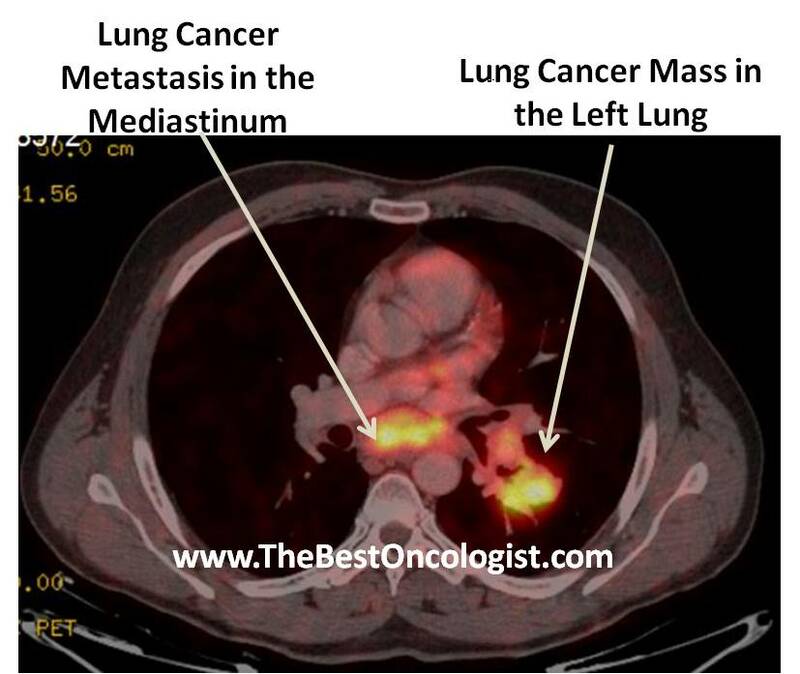 This approach is usually good for lesions that can’t be approached by FNA, and for localized tumors that may be totally removed by surgery (tumors localized to single lobe, with no metastasis).